A few days ago Katharina gave you a detailed overview about the history of Contabo in her blog post “Contabo through the ages! The story so far…”. 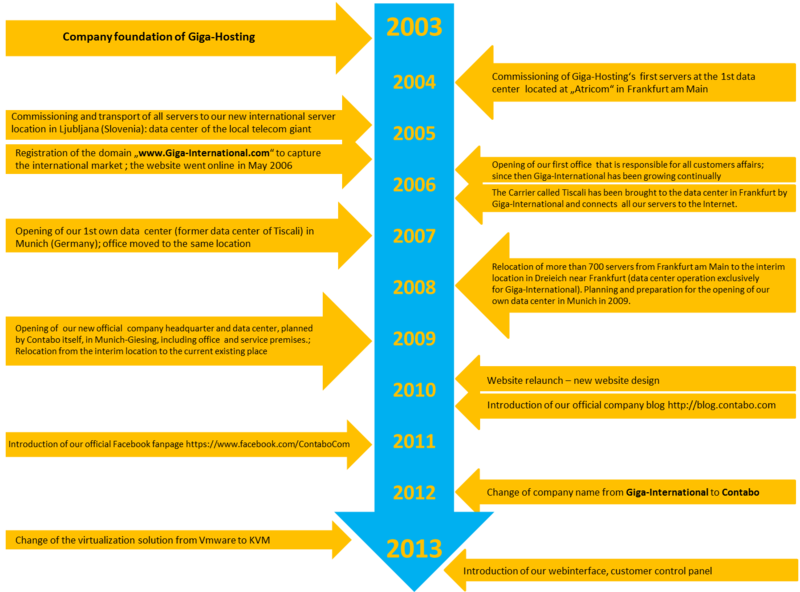 Based on the mentioned most important milestones of the past 10 years we are going to publish now and within the next few days some pictures, photos and texts which we have been collecting during the last years. 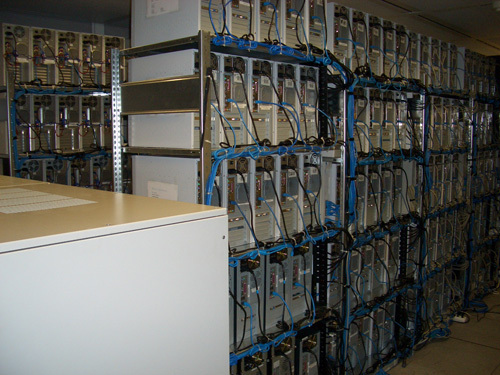 …and let’s go back to the very beginning when we put our first own rack server into operation at our first data center location in “Mainhattan”, in Frankfurt am Main, Germany. In 2004 the first machines went online in the commonly known “Redbus Interhouse” at Lyoner Straße 28. At the beginning we just started with a space for 10 (or 15?) 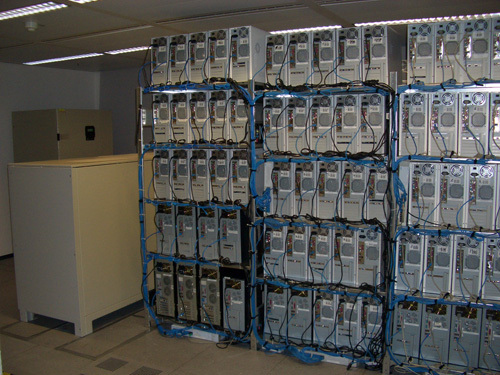 servers, but soon, our company had been growing fast, and thus, also the number of servers in our data center. Not only we have been delighted about our rapid growth, but also our IT service provider who has been responsible for the handling of our hardware on site and who we worked with for more than 4 years, until we left Frankfurt am Main a little bit later. Within a few months our server farm grew from 10 servers to 100 servers, and until today our business is expanding at an ever-increasing rate. 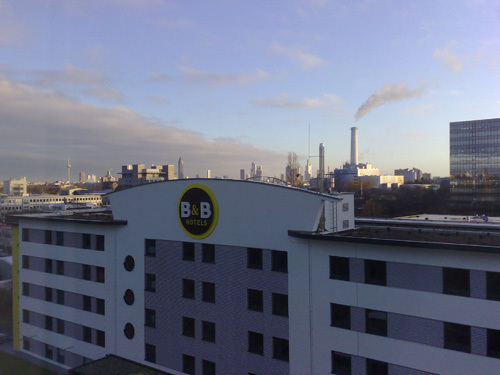 A few months later our long-term IT service provider decided to open another data center location a few houses away from us in Lyoner Straße 15. It was probably not only our very positive development which was responsible for their new data center, but we certainly have made an important contribution to that. 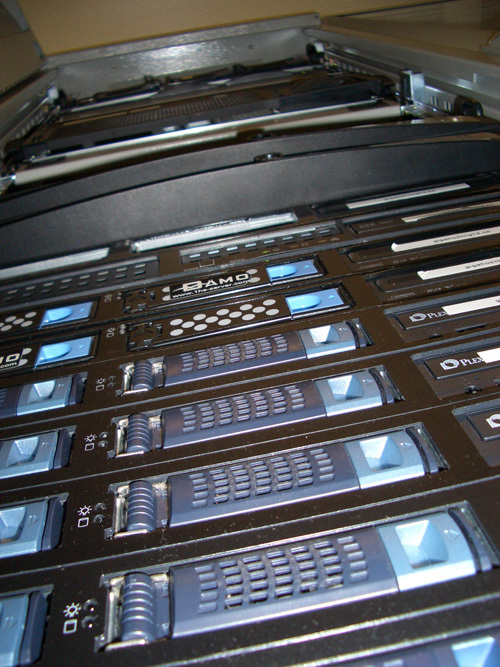 At this time Giga-Hosting/ Contabo occupied the highest numbers of servers in their data center. 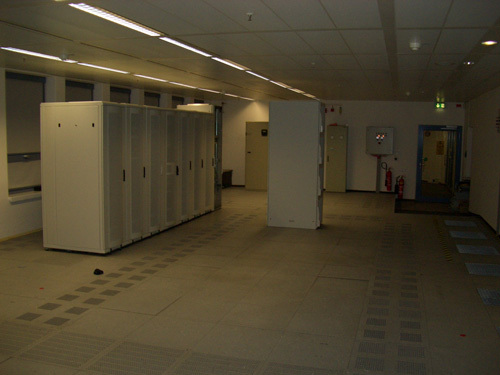 Today, 10 years later, the Tier1 carrier and global player “Cogent” has settled down right there, in the same datacenter we had used for many years at that time, with his German headquarter. Our objective has always been to stay responsible for all of our servers. This means, we have chosen all single items and the infrastructure of our servers on our own and ,according to our ideas, we created server systems which were ready-to-use. We worked day and night to deliver our servers to Frankfurt am Main as soon as possible. And believe me, this was really hard work. 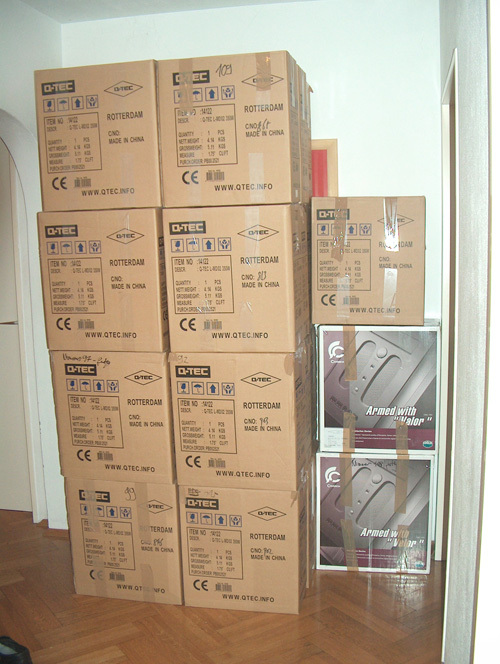 The following picture shows our already packaged servers shortly before its transportation to Frankfurt. According to the file attributes the picture was taken in October 2005 at 2:00 AM in the morning. 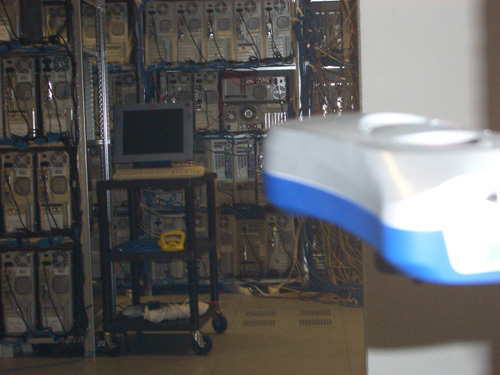 Giga-Hosting staff often travelled to Frankfurt to support the technicians there. 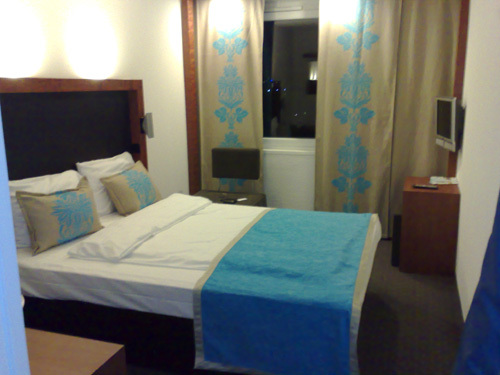 I can warmly recommend “Motel 1” as accommodation because that’s where the team stayed during our visit and it was pretty nice. It was situated between the airport and the data center and that’s why we haven’t seen a lot of the city during our stay. While we have been focused on the hardware and on the infrastructure of our servers, we took care of one of our most important matters: our product range. According to these principles we operated day by day. We were working hard to continually improve our products like webspace, servers, colocation, domains and its sustainable development. From time to time we offered radical price reductions but always together with high quality products and support. This concept has been proven for years and it is still our company philosophy. In March 2006 we opened the first office in Munich for our 1st and 2nd level support department. Since that time our team has been growing constantly. This time the number of the month represents the number of our 22 state-of-the-art Rittal racks which have been set up for the new colocation servers of our customers. Each of those 22 Rittal racks is equipped with lockable doors and additional roof ventilation. 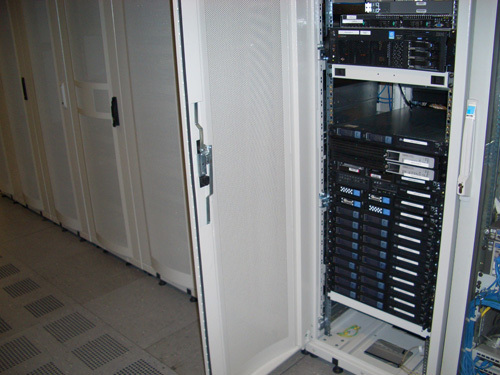 We have installed these racks during the last months in addition to our existing tower racks and blade racks to be prepared for the increasing demand for server space in our datacenter in 2011. Now the physical connection has been completed and the red (or is it orange?) cable is waiting to be connected to our router. There are only a few steps left until this will be completed, too. Afterwards, Giga-Hosting and Giga-International will be completely "multi-homed" by different fiber cables led from different directions into the building. This is a great benefit for our customers and although we never had network problems since we moved into our new datacenter one year ago our network will be even more secure and even more stable afterwards.